Last night, at the meeting of all councillors on Ipswich Borough Council – also known as Full Council – I took the opportunity to take my campaign for webcasting this meeting and other council public meetings directly to the Labour Administration leadership. At the beginning of every Full Council there is time set aside for councillors and members of the public to ask Executive Committee members and Chairmen of Committees questions – this is called Council Questions. Jacqui Thompson, a political blogger in Labour-dominated Wales, was arrested for filming a public meeting of Carmarthenshire County Council. Hopefully in England we value democracy a little more but could Cllr Cook tell me if Ipswich Borough Council intends to follow many English local authorities and start webcasting their public meetings? Cllr Cook said the idea of web-casting meetings was “conceptually attractive” but the borough’s webcasting equipment (what equipment!?!?) was not adequate enough and therefore it would be “difficult to see and hear councillors”. The cost of purchasing and installing equipment was something Cllr Cook felt was not possible at the present time. The portfolio holder went on say Ipswich Borough was located in a “narrow geographical area” and residents were no more than 15-20 minutes away from the town hall. There is also supposedly no demand from the public for webcasting meetings. 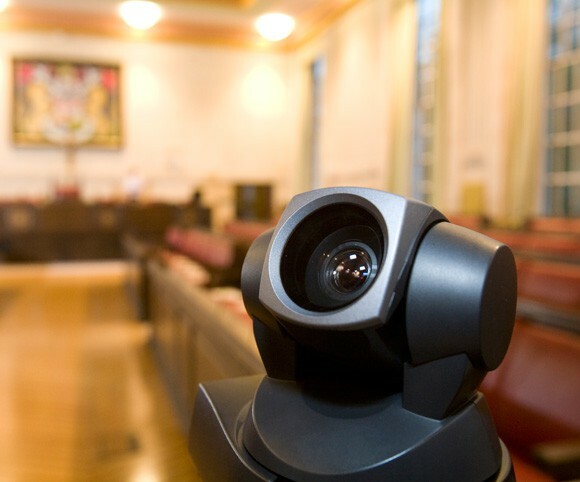 Council Questions are strictly controlled within tight procedure rules so a debate on web-casting cannot be started, only a question asked with an answer received. Therefore, I am replying to Cllr Cook’s comments for the first time. Cllr Cook’s initial comment about existing equipment was a bit bizarre. I have no idea what he is talking about. From my understanding, the Council has never purchased web-casting equipment. Please do feel free, Cllr Cook, to use the Comments below to clarify this. From the research I have carried out, the cost of purchasing the necessary equipment and installing would be £20,000 – £30,000 : this is not a bad price for bringing more residents into the democratic process. Once set up, equipment maintenance would be minimal. The public gallery at Full Council is almost empty with, in the main, the people attending being ex-councillors, Suffolk County Councillors, bloggers, Mr Geater from Ipswich Star and council civil servants. Increasing participation, albeit electronically, has to be a good idea. On the comment the borough is constrained within tight boundaries where most people can reach the town hall quickly, I don’t see that as a valid reason for refusing to introduce web-casting. Many boroughs in London have similar boundaries, albeit with larger and more concentrated populations, and places like Camden and Haringey webcast their public meetings. I don’t believe Ipswich Borough Council have conducted a survey asking residents if they would like to see meetings webcast. Perhaps they could use the Council’s propaganda sheet, The Angle, to ask residents what they think of the idea. They may be surprised by the results! Local democracy is frankly not as transparent and accountable as Westminster politics, primarily because the media tend to focus more on national government rather than on town halls. Webcasting helps to strengthen democracy at the local level and should be embraced by all councils to ensure corruption and wrongdoing is kept at bay. 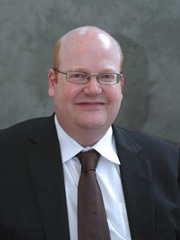 It is particularly worrying that Cllr Martin Cook works for BT but still thinks it is not a good idea to deploy tried and tested technology into the council chamber to help local residents become more connected to the decisions being made in their name at the council. Categories: Ipswich Borough Council, Politics | Tags: Cllr Martin Cook, council, Council Questions, Ipswich Borough Council, Jacqui Thompson, webcasting | Permalink. 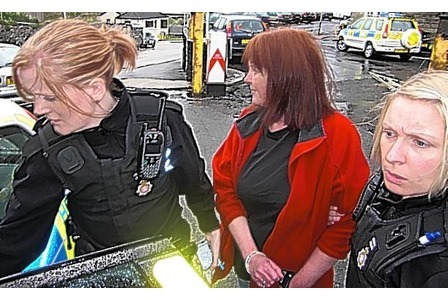 In June 2011 Jacqui Thompson, a political blogger from Wales, was arrested for filming the meeting of Carmarthenshire County Council. Mrs Thompson has subsequently sued the County Council’s chief executive officer, Mark James, for libel for a letter he wrote to her in response to criticisms she had made of the Council on her blog. Mr James is counter-suing Mrs Thompson for comments she made about him on her blog. The court case has not concluded with judgement reserved until an unspecified later date. When asked this morning to explain her arrest for filming the County Council meeting two years ago, Jacqui Thompson told Radio 4 Today presenter Evan Davis that she could find no rule banning filming of the public meeting in the Council’s constitution or in Standing Orders (the rules which govern Council meetings). Putting aside the libel spat (although undoubtedly a very expensive spat – with the chief executive’s costs paid for by Carmarthenshire taxpayers! ), I am a firm believer local democracy should be made as transparent and accountable as possible. And in today’s technologically advanced age web-casting of council meetings should be the norm. To not web-cast a meeting suggests the council, in my view, has something to hide (I hope Ipswich Borough Council chief executive Russell Williams does not try to have me arrested for saying that!). The ruling Labour Party, especially considering they have a number of IT professionals in their ranks, need to show some leadership and open up democracy to the masses. I guess being Socialists they are not too keen on this: in the Socialist’s mind it is far better to keep the little voters in their council houses gorged on benefits and leave the Labour elite to get on with the business of running the lives of others at the Town Hall, isn’t it? Well, I and my fellow bloggers will continue to report the utterances of Council leader David Ellesmere, which we are delighted to do. Decisions costing hundreds of thousands of pounds are made at the Town Hall meeting and it is our duty to report on them. This will be especially the case on Wednesday when the most important Full Council meeting of the year takes places to set the annual budget. Categories: Democracy, Politics | Tags: Carmarthenshire County Council, Cllr David Ellesmere, democracy, Ipswich Borough Council, Jacqui Thompson, Mark James, web-casting | Permalink.